Having a good map is really helpful for planning purposes. The best reviewed map on Amazon is the Costa Rica Guide waterproof map. It doesn’t hurt that you can get the map for free by doing some advertising for them (see above link). I’ll admit, it’s why I am doing this blog post. 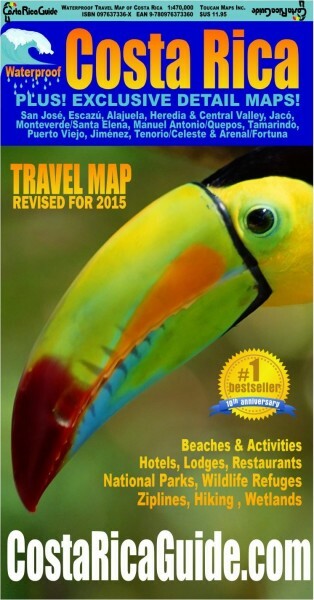 Saving $12 on a map might seem insignificant but it does add up. Last night while we were on our family walk, Shae and I did a mental addition of the current trip costs and credits (from card churning). With airfare for 4 people, a seven day rental 4×4 suv, and 4 of the 8 nights booked we have an out of pocket expense of around $100 so far. I figure the last four nights of lodging, food, souvenirs, and misc. expenses will push our total out of pocket expense to somewhere in the ballpark of $750-$1000 for Shae, Frugal Boy, and myself combined. I’m tempted to do one more credit card churn to knock off another $460 dollars from the total, but I don’t think we’ll be able to meet the min spend requirements. A better option might be to churn a couple of bank accounts instead (see here for a list). 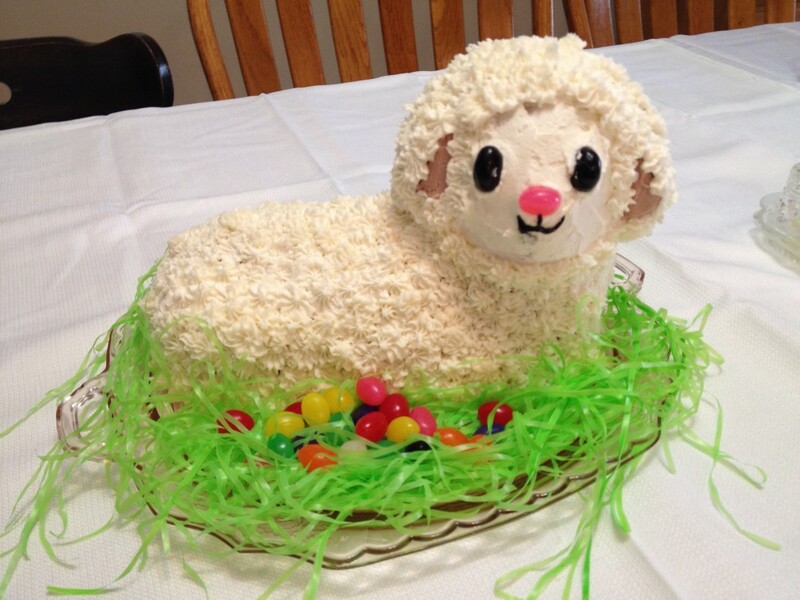 Another Easter has come and gone. The only remaining evidence of it, is the decapitated lamb’s head on our countertop. 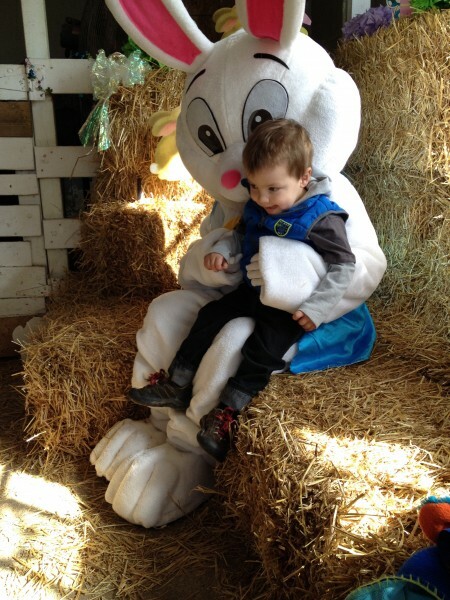 It was a busy weekend with three Easter egg hunts, a visit with the Easter bunny, a big party, a museum visit, and lots of stuff in-between. 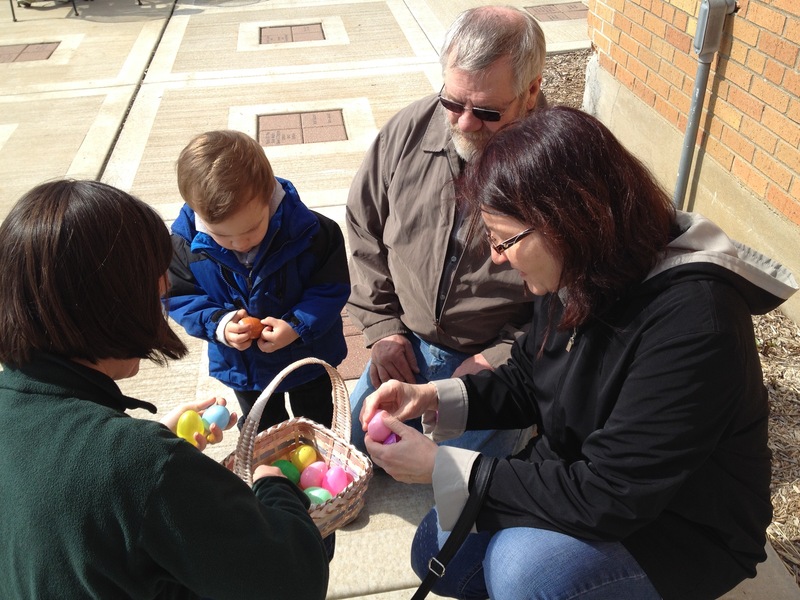 Here Frugal Boy, mom, and grandparents check out the haul from a second egg hunt. 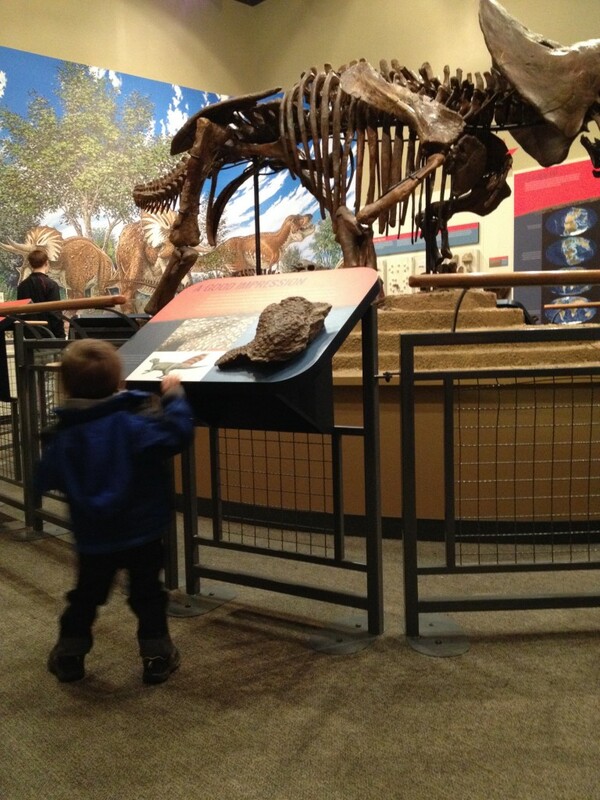 After the second egg hunt we looked at dinosaurs. That night we did some arts and crafts with aunties. 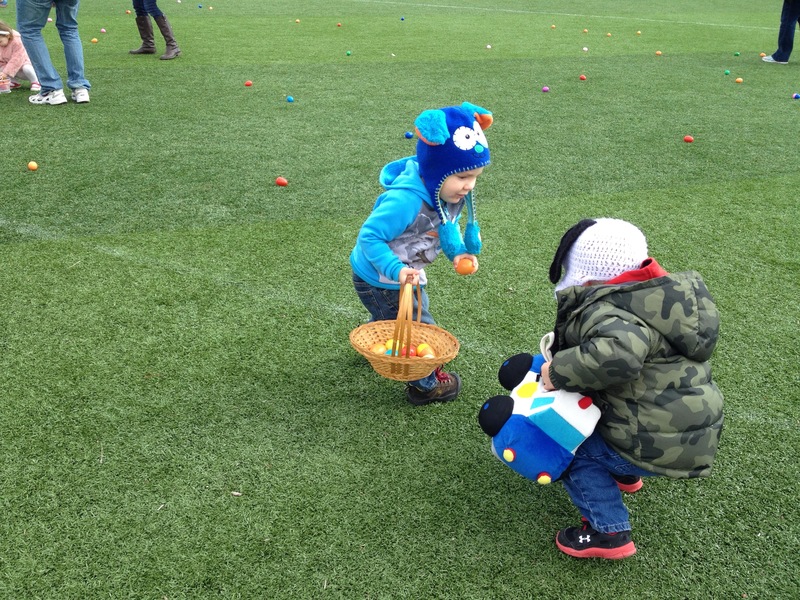 The next morning was the last egg hunt for the year. He sure did get a lot of practice in this year. Then it was time to help grandma with the party. 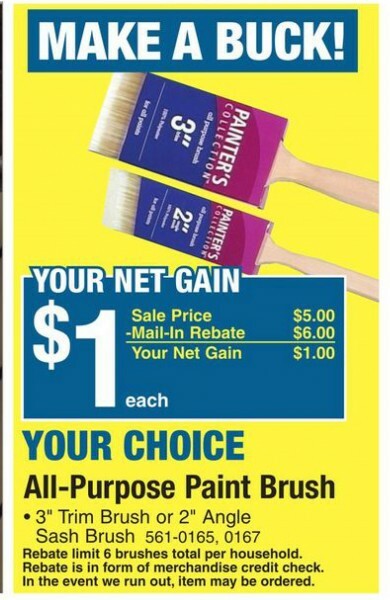 For all of you Menards customers, they are currently running a nice promotion on paint brushes. Buy a $5 brush and get a $6 store credit via mail in rebate. The quality of the brushes is decent enough. I used a 3″ brush to prime the south side of our garage yesterday and it only shed one bristle. The deal goes on for 2 more days (ends on the 24th). Limit 6 per address. I loaded up on a total of 12, six for the home address and six for the business address. 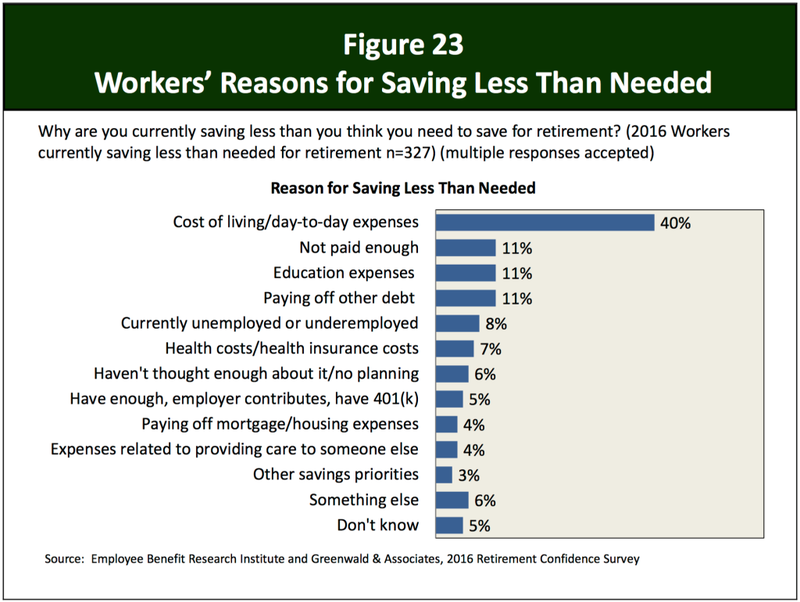 The Employee Benefit Research Institute, or EBRI for short, just released their 2016 survey results of 1000 workers and 500 retirees. 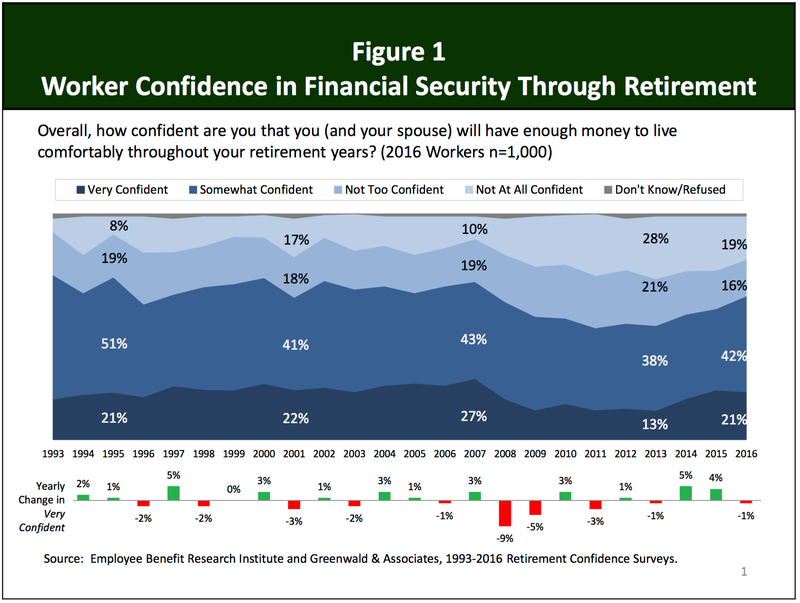 The annual survey has been ongoing for a couple of decades now, so it provides a good indicator of where Americans are in regards to retirement confidence and thought process. 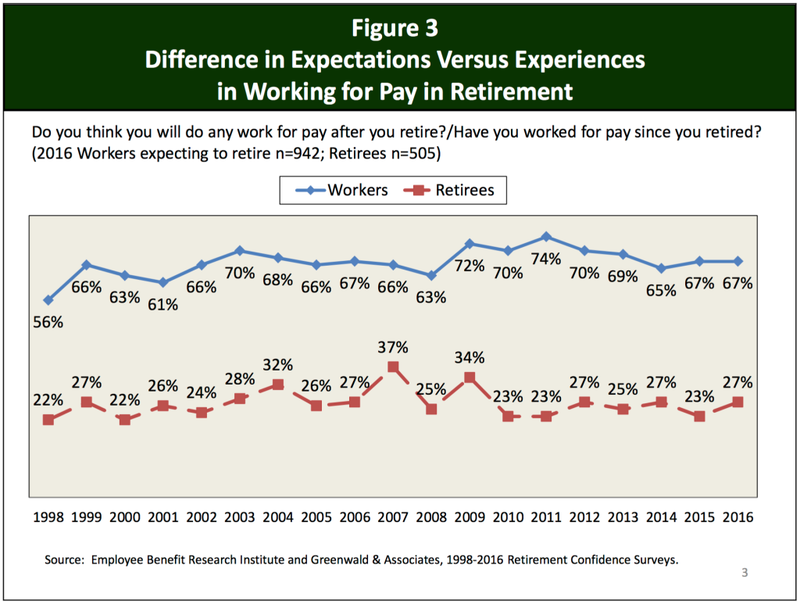 My own conclusions after skimming through the charts and figures is that Americans are still on course for a rude retirement awakening. 21% of workers in 2016 are confident that they will be able to retire comfortably and 19% are not at all confident with the rest in-between, but 67% of current workers expect to continue working in retirement. Compare the blue line (current workers) with the red line (current retirees). Either we are going to get used to seeing older people in the workforce, or a lot of people are going to be in for a rude surprise when they cannot find employment as they get older. 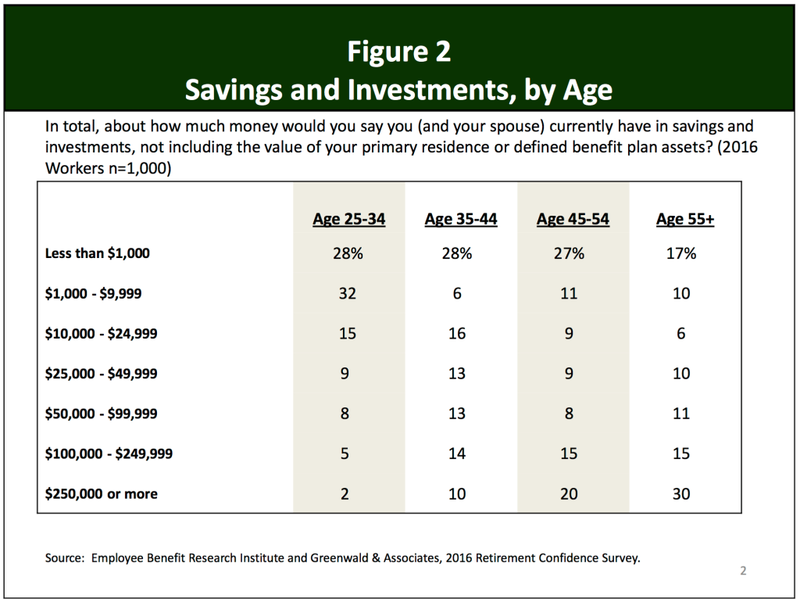 Looking at the Savings and Investments by age doesn’t exactly inspire confidence. The Baby Boomer generation is woefully underprepared for retirement with 1/3 of respondents claiming less than $25k in savings. That would probably cover 1-2 years of living expenses. Gen X and Y (Millenials) aren’t doing much better. 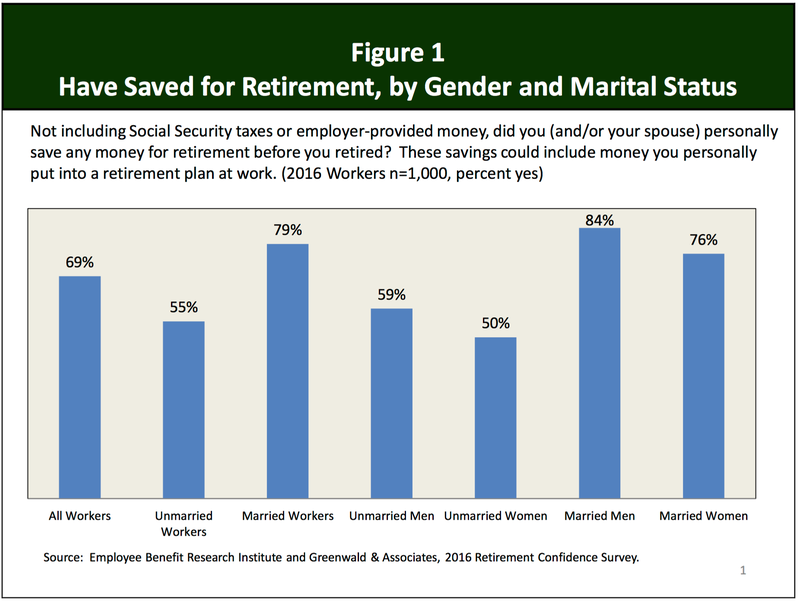 Married men seem to be the most motivated to save for retirement. Unmarried women don’t seem to have the same kick in the pants. 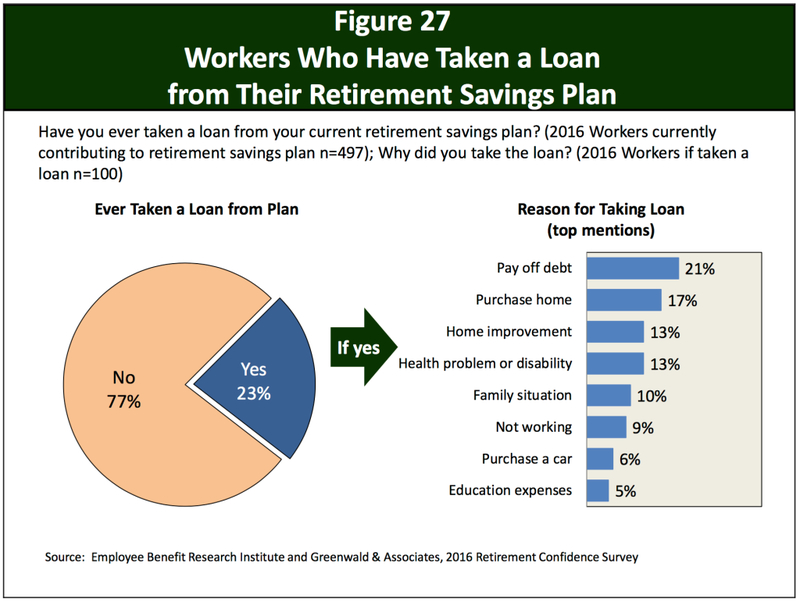 A whopping 23% have raided their retirement accounts for present day needs/wants. I think the biggest threat to retirement in America is people simply burying their heads in the sand. They know that it is a problem, but it is easier to kick the can down the road instead of dealing with it right now. The problem is that developing a solid retirement takes time! Kicking the can down the road isn’t the answer! What can be done to help avert a retirement crisis? Enroll in your employers 401k plan and/or setup an IRA. 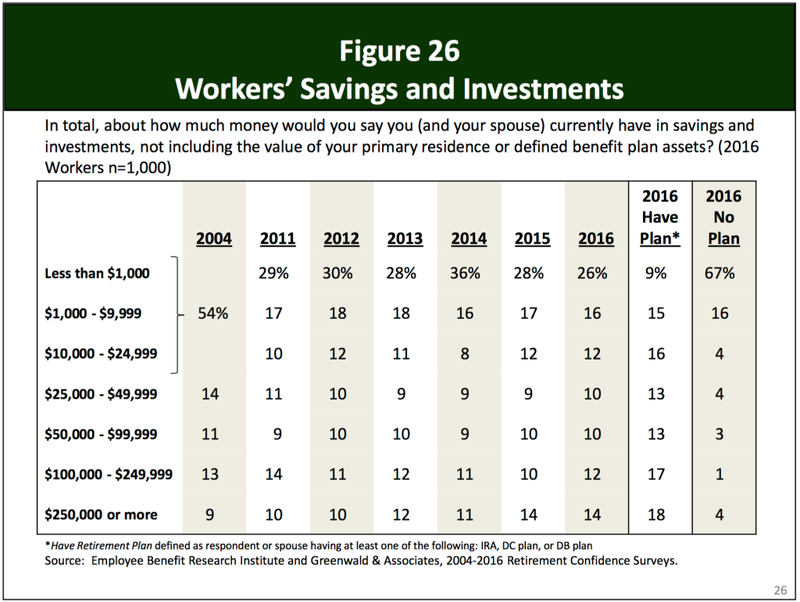 Workers enrolled in a plan had significantly more saved than workers not enrolled. Paying yourself first works! Today was the first of three Easter egg hunts that Frugal Boy can participate in. 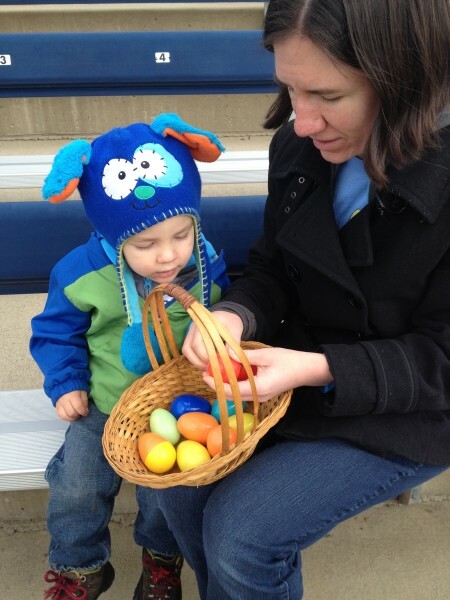 I have vivid memories of going to the local Easter egg hunt when I was a kid. My dad would have my siblings and I practice in the side yard beforehand. 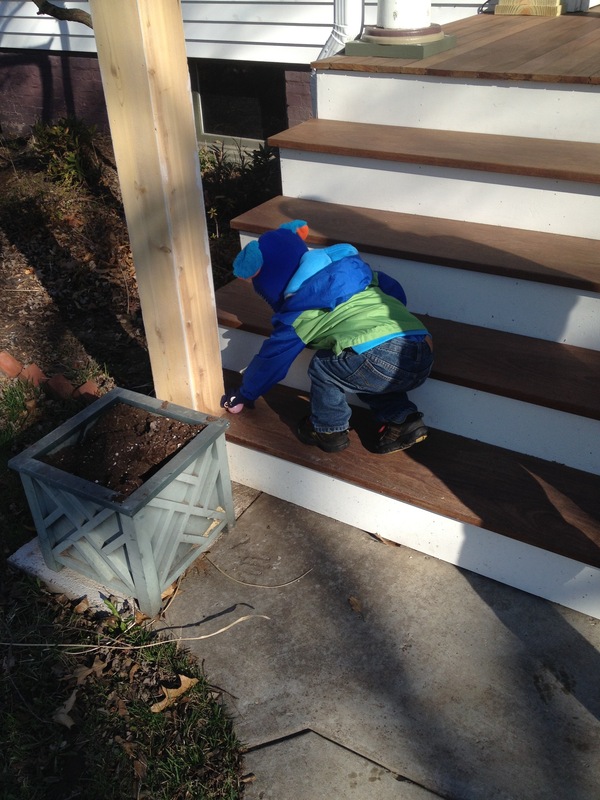 We would go over drills of scooping up eggs without stopping and he would give us strategies to go where the other kids weren’t. 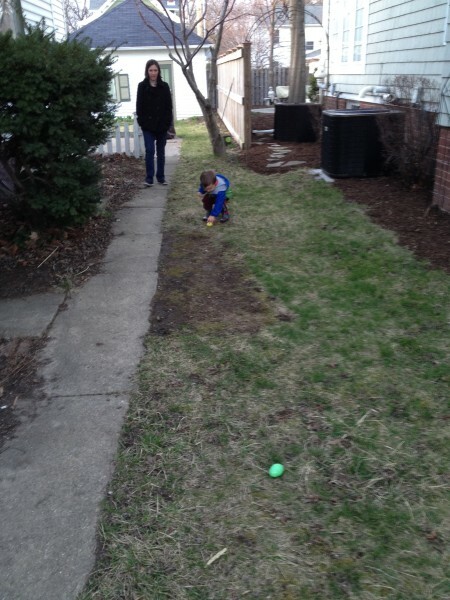 Then after the big event where my brothers and I would pick our noses and pick up a paltry amount of eggs he would throw his hands up in the air and tell us how lousy we were at picking up eggs with good candy inside. Naturally, I would be a better father to Frugal Boy. So training started yesterday. 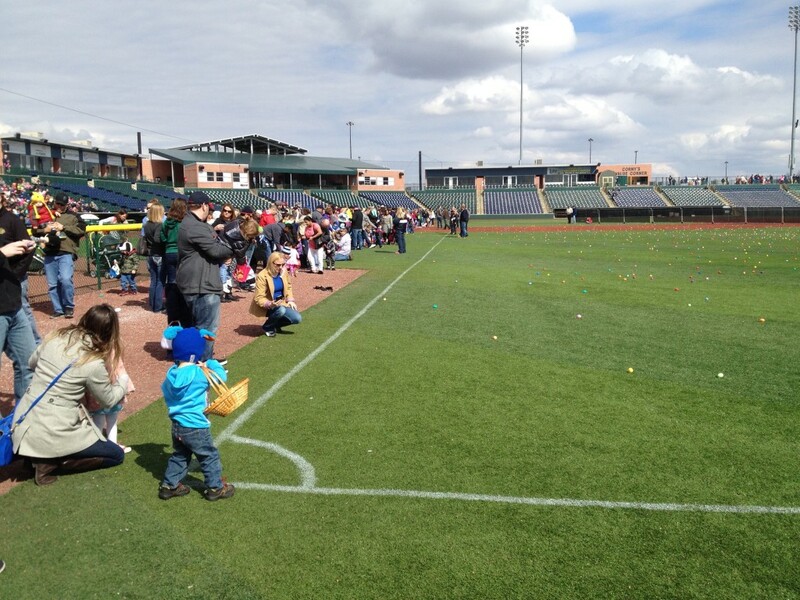 The town’s egg hunt was divided into age groups. 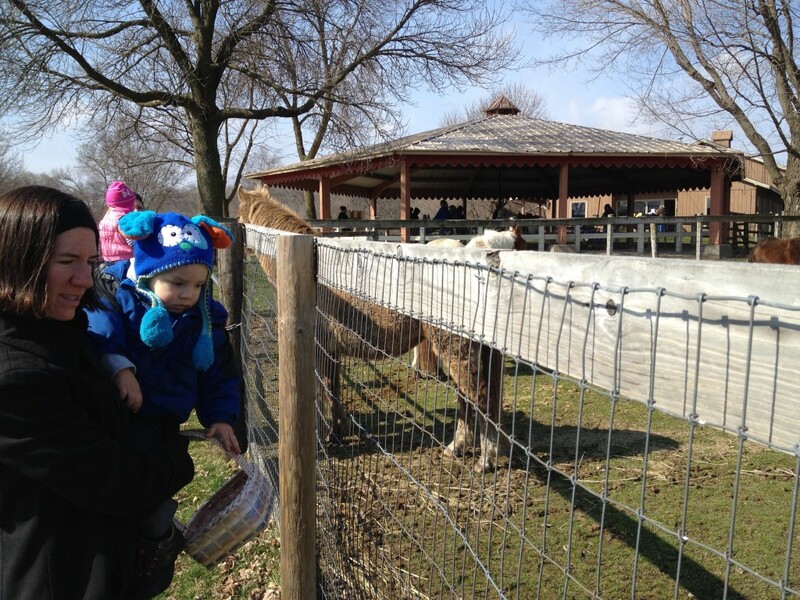 Frugal Boy was in the 2 and under (and aggressive parents) category. 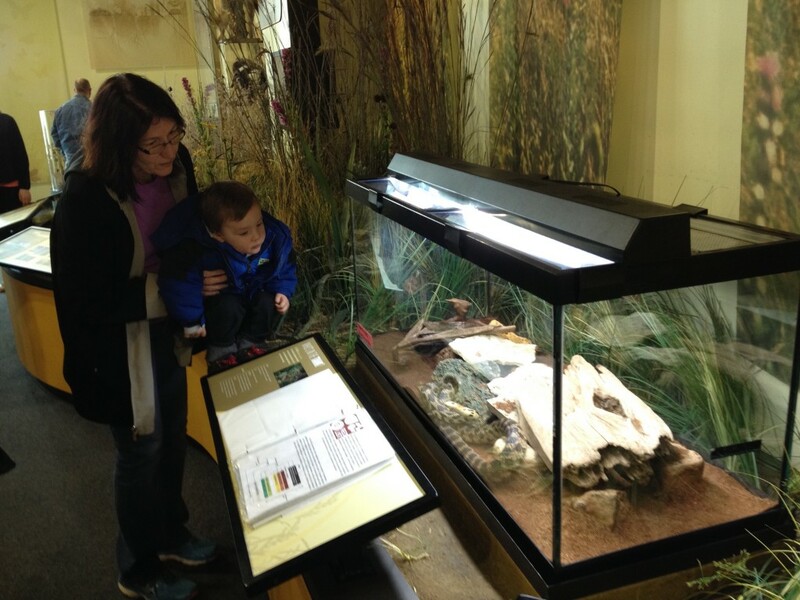 We saw some friends there as well. 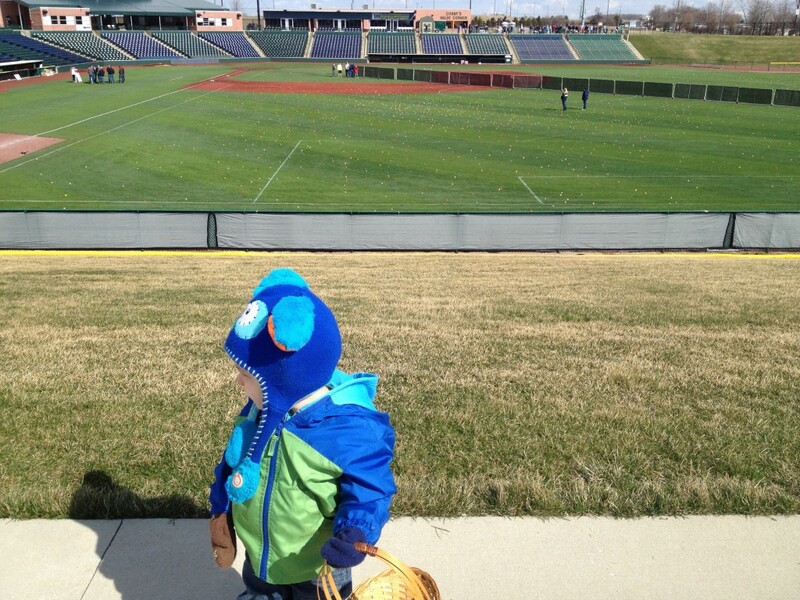 It was difficult to contain his excitement while we waited for the start. There may have been a small tantrum thrown because we kept telling him he had to wait. But finally, the countdown was initiated and he ran, er moseyed, onto the field. This kid was faster on the draw. It also helped that he was able to distract Frugal Boy with his fancy police car basket. All in all, he did pretty well. 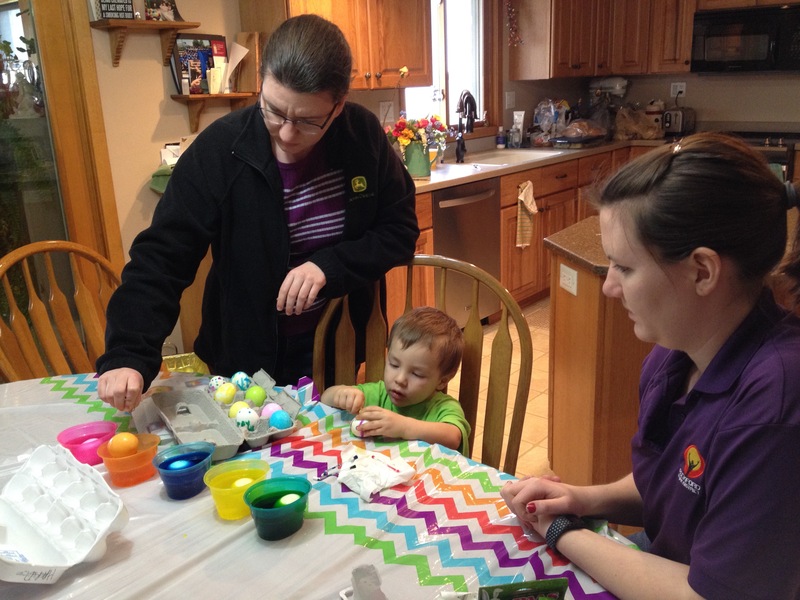 He ended up with 9 eggs after he gave one to his one year old daycare pal. We asked him if he had fun and he gave a very enthusiastic “YESS”. Next year we’ll have to step up the training. I mean C’mon kid, stickers and gummies is the best you can come home with?